My name is David Chaney. I am happily married to my high school sweetheart, Debbie Giddings. We have two wonderful kids who keep us on the run! Our son Logan is currently in 8th grade and our daughter Madison is in 5th grade. I am a P.E. teacher at a private school in Lafayette, LA. During the summer, I am the camp director of the Just 4 Kicks Soccer Camp, which I started in 1991. 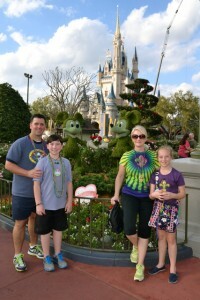 Since my son was born in January of 1999, my family and I have traveled to many Disney destinations. 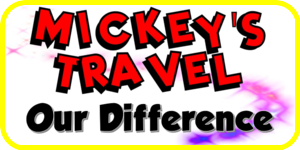 Although Walt Disney World is the destination we frequent most, we have been on Disney Cruises and even traveled to California to visit Disneyland. I have always been amazed by everything Disney. Whether it’s the resorts, the parks, the shows or the employees, Disney is always 1st Class! As my children have grown, I’ve had the opportunity to experience the parks from several different perspectives. I’ve been the new parent bringing his kids to the park for the first time. I still remember the look on their faces the first time they saw the Disney characters in person. Now that they’re older, we find ourselves spending less time waiting for autographs and more time at their favorite Disney attractions. 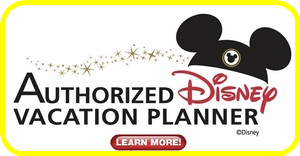 With the knowledge I’ve gained through my own personal experiences, as well as the College of Disney Knowledge, I feel confident I can help you and your family create a vacation that will be remembered forever!